Human Ceruloplasmin (UnitProt # P00450) is a copper binding glycoprotein that contains over 95% of copper found in plasma. Low levels of circulating ceruloplasmin are a marker for Wilson’s disease. 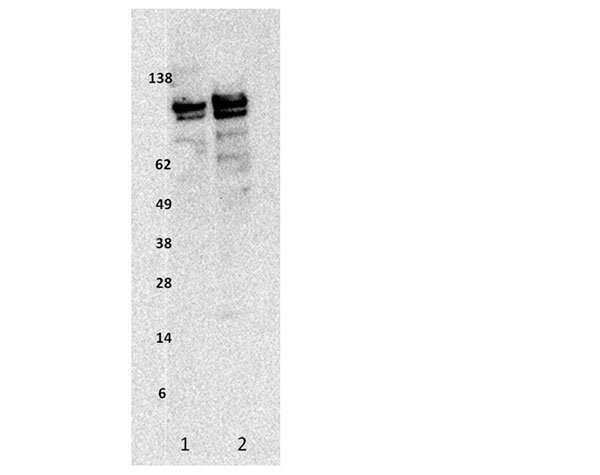 Blot was probed with 0.25μg/mL R3006 followed by HRP detection antibody. 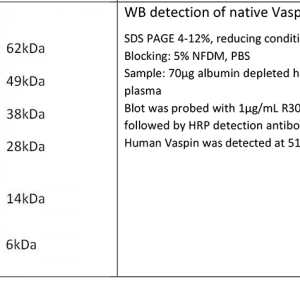 Human ceruloplasmin isoforms were detected at 135kDa and 115kDa.